Green Island in Taiwan - A Detailed Travel Guide Full of Pictures! Green Island isn’t on the to-do list of most visitors to Taiwan, but I believe it deserves more attention then it’s actually getting. The island is quite small, but it’s still one of the most spectacular places I have seen in Taiwan. Check out the best hotel on the island! 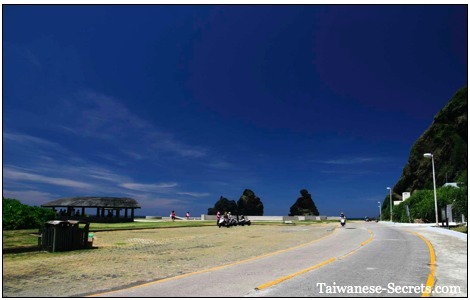 Green Island is a perfect travel destination if you want to enjoy a day away from the intensity of Chinese civilization that’s so omnipresent in most cities on the main island of Taiwan. Dive, or snorkel at some of Taiwan’s most well preserved coral reefs. Take a dip in Taiwan’s only saltwater hot spring at Chaojih Hot Springs. Rent a scooter and ride around the island. Visit one of the country’s most beautiful lighthouses. Hike across Green Island on an ancient trail. Take pictures of breathtaking coastal scenery. Walk around an abandoned Taiwanese aboriginal settlement. Facts About Green Island – Where is it? 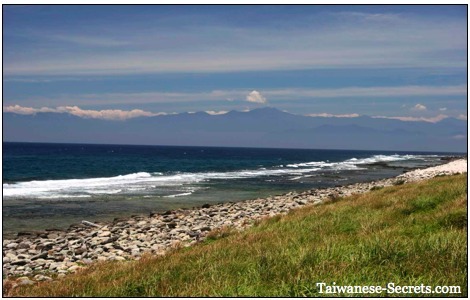 Tiny Green Island is located in the Pacific Ocean, 33km to the east of Taitung city in southeast Taiwan. The island has a population of around 3000 people. It is nicknamed “Fire Island” or “Fire-Burned Island”. In Chinese, the island is known as “Ludao”, or “Lyudao”. 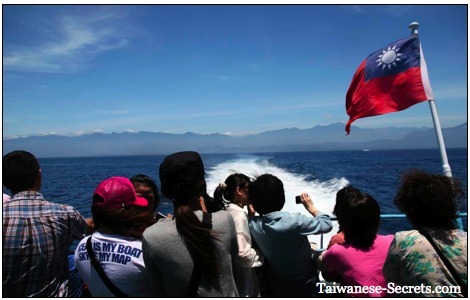 The main island of Taiwan can be seen in the distance. Green Island is ringed by an 18km road and the best way to get around it is definitely by scooter. Having your own wheels will make it a breeze for you to see all the attractions around the island and give you the chance to stop wherever you want to contemplate the dramatic seascapes. As soon as I touched the ground, a Taiwanese lady walked to me to show me pictures of rental scooters. Her bikes were right at the pier. I quickly checked brakes and tires, gave her a 1000NT deposit, paid 350NT for 24 hours and took off to explore the island. She never asked for my passport or driver’s license. You can also rent a scooter at Green Island Airport. Green island has some excellent coral reefs, tons of tropical fish, as well as other colorful sea creatures and that’s one of the main reasons why more and more people visit this little tropical paradise every year. 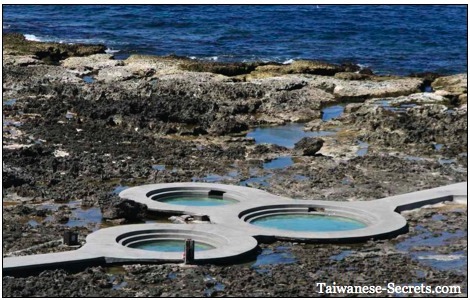 According to many Taiwanese people, the Jhaorih resort on Green Island has the best hot springs in Taiwan! Serious hot spring enthusiasts actually come here from all over the world as saltwater hot springs are very rare. Japan and Italy are the only two other places where saltwater springs can be found. The Green Island hot springs are open 24h from March to October, and from 6am to 10pm between November and February. 200NT$ per person. 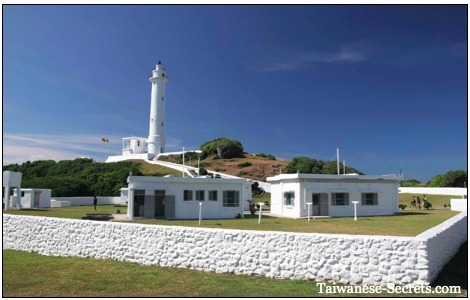 The 33m-high Lyudao Lighthouse is the most beautiful landmark on Green Island. The American government funded the lighthouse’s construction in 1938, a year after a US cruise liner (the SS President Hoover) struck a nearby reef and sank. The whole area around the lighthouse is very photogenic. You should visit this attraction just before sunset to get warm light for pictures. 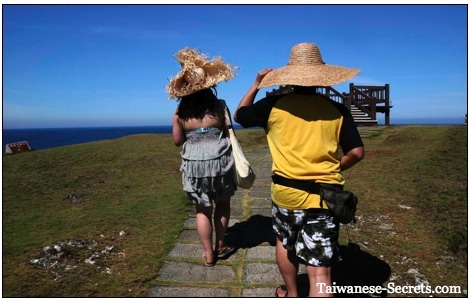 Some Taiwanese people travel to Green Island only to pay their respects to the Goddess of Mercy at Guanyin Cave. The underground cavern has a stalagmite that is supposed to look like the deity. You can’t miss it, it’s wrapped in a red blanket. I wouldn’t say that the Guanyin Cave is a must-do on your trip to Green Island. 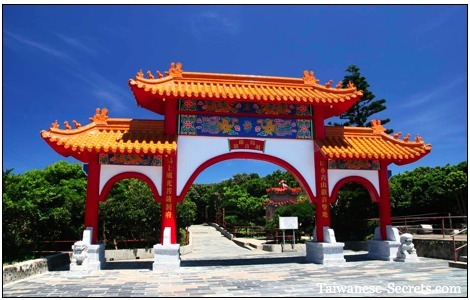 That said, it’s still the most important religious site on the island and the colorful Chinese arch at the entrance is worth a picture or two. The sandy area around the old dwellings at Youzihhu is surrounded by some of the most spectacular crags in Taiwan. 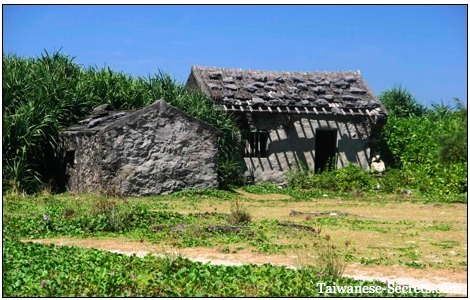 The first village on Green Island was established here and you can see remnants of old stone houses still standing in the middle of the dazzling scenery. Green Island’s Little Great Wall is a short trail that takes you from the main road to a lookout. Seen from the road, the path kind of looks like a mini Great Wall. From the lookout, the views over Haishengping Bay, the rock formations of Sleeping Beauty and Pekingese Dog Rock are unsurpassed! If you’re in a rush and you only have time for one stop on your tour around the island, Little Great Wall should be it. If Nanliao is too crowded for you, head for Kungkuan (Gongguan) Village, in the northern part of Green Island. This small, quiet community is right next to some of the best diving areas on the island. Kungkuan has some hotels and restaurants, but it still has a very atmospheric feeling. 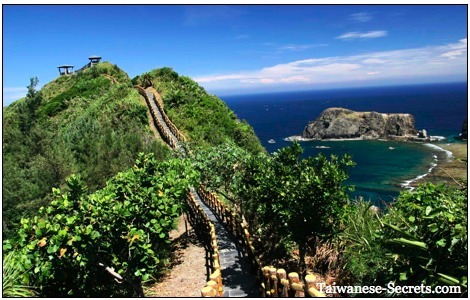 The nicest hiking path on Green Island is called Kuoshan Ku Tao Trail (Guoshan Gu Dao). 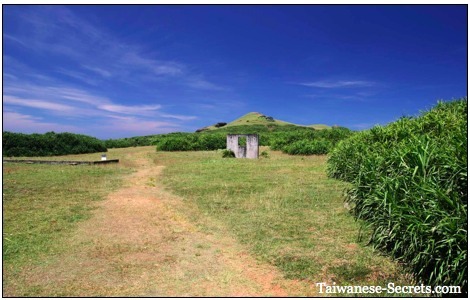 The trail starts behind Nanliao Village and goes all the way to the east side of the island (1.8km). The highest point on Green Island is Mt. Huoshao, a 281m high extinct volcano. You can’t reach the top because it’s occupied by a military post, but there are some trails which surround it. Make sure you bring plenty of water for your hike. The weather really gets hot down there in the summer months. 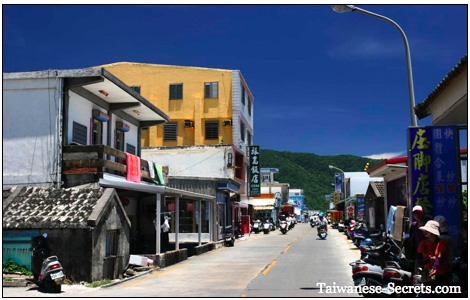 Nanliao Village has the highest concentration of restaurants on Green Island. Most places offer fresh seafood and the usual Chinese and Taiwanese. 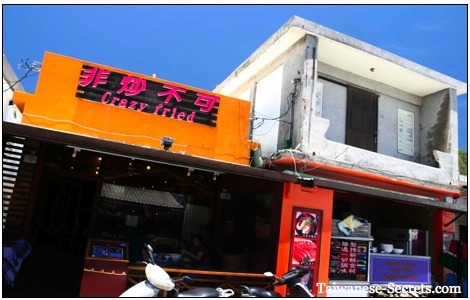 One place I highly recommend is Crazy Fried Restaurant in Nanliao Village. The food is good (and cheap), the owners are friendly and they usually play some good tunes. Try the seafood fried-rice. You’ll find Crazy Fried Restaurant on the main drag, not too far (north) from the harbor. Green Island is the wrong place to travel to if you’re looking for bars, pubs, and discos. Do like the locals, buy some cheap beer at a convenient store and find a quiet spot by the ocean and sit back. Most restaurants sell beer and some of them stay open until midnight and even later than that. As I’ve said earlier, the best way to get around Green Island in Taiwan is to rent a scooter. You can rent a bike at the harbor, in Nanliao Village or at Green Island Airport. You should not pay more than 350NT per day for a scooter. There’s also a public bus which goes around the island several times daily. The cost is around 20NT$ for the whole circuit. There are bus stops along the main road, but I’m sure the bus would stop for you if you flagged it anywhere along the route. Many people walk around the entire island! What are the best places to sleep? 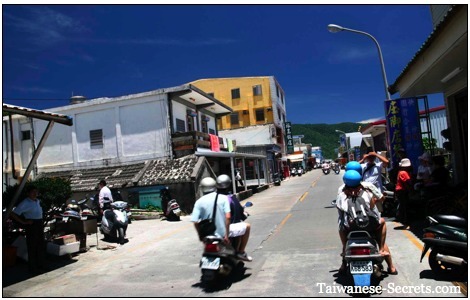 Most hotels, hostels, guesthouses and B&Bs on Green Island are located in Nanliao Village. Kungkuan Village also has some descent accommodation. If you’re planning to head there during the summer months, you should make a reservation beforehand. Campground: NT300 per tent; near Tapaisha Beach. Book your hotel on Green Island today! Nanliao Village has lots of hotels and guesthouses. 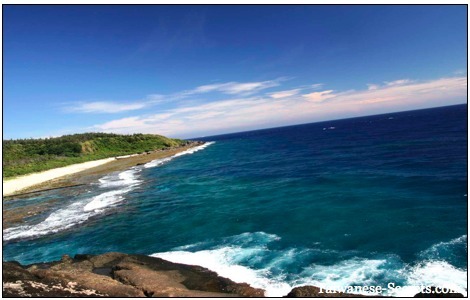 Green Island lies in the Pacific Ocean, in the southeastern part of Taiwan, 33km away from the city of Taitung. If you start your trip in Taipei or on the western coast of Taiwan, you need to get down to Taitung first. 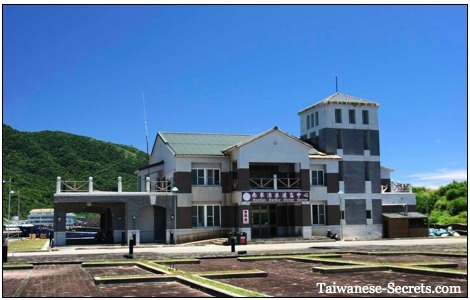 If you’re on Taiwan’s west coast, a fast and convenient option is to take the High Speed Rail (HSR) all the way down to Kaohsiung, then take the normal train (TRA) to Taitung. From Taipei, you can take the normal train straight to Taitung. The railroad follows the scenic east coast of Taiwan all the way to Hualien, and then it takes you through the spectacular East Rift Valley where you can watch gorgeous mountain scenery all the way to Taitung city. 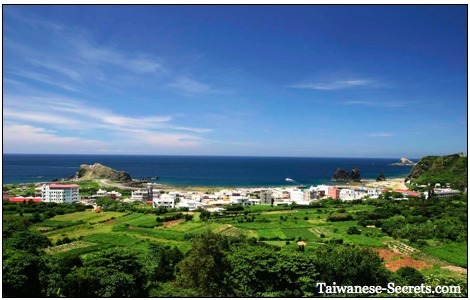 If you are in a rush, you can also fly to Taitung from Taipei and other Taiwanese cities. 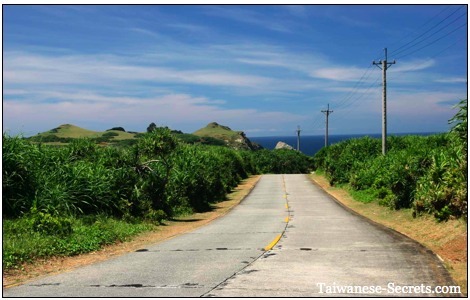 Contact a Taiwan travel agent to book a cheap flight to Taitung or Green Island. 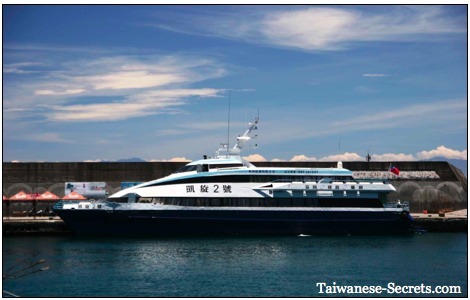 To take the boat from Taitung to Green Island, you first need to get to Fugang (Fukang) Harbor, which is about 10 minutes away from downtown Taitung. A taxi ride will cost you around 200NT. There’s also a local bus that can take you there for much cheaper. Ask the people at your hotel where the nearest bus stop is for Fukang Harbor. During the summer months, boats are frequent and leave approximately every hour. A one-way ticket costs around 450NT$. Round-trip tickets are naturally cheaper. The ride takes about an hour in good weather. Take motion-sickness pills if you usually feel uncomfortable on boats. People take pictures of Taiwan from the boat. I’ve heard some scary stories about the Taitung – Green Island flight! The planes are tiny, turbulence is strong, Green Island’s airstrip is super short, so the landing is a painful affair! But hey… some people just don’t like boats! The first thing you should do when you get to Nanliao Harbor (after renting a scooter – of course!) is head to the visitor center to get yourself a good map of Green Island. You’ll find the Lyudao visitor center just across the road from the airport, north of Nanliao Village. 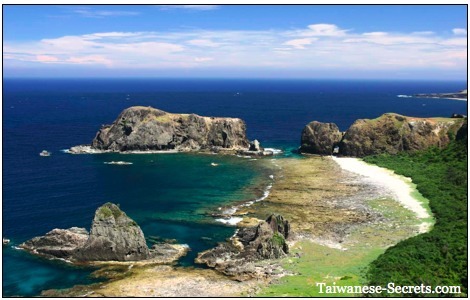 For now, though, you can take a look at this interactive map of Green Island in Taiwan where you’ll find the attractions, hotels, beaches, restaurants, and diving spots introduced on this page.